Pennsylvania GOP Primaries Are Today - Vote MAGA Candidates and Drain The Swamp! The Pennsylvania Republican Primary vote is set to kick off today and President Trump is going to need as many GOP voters as possible to turn out in several major races in order to help him drain the swamp to vote for crucial races including the 5th and the 8th District in Congress. There are several candidates which are running in today's primaries that support the “Make America Great Again” agenda against the establishment Republicans and Democratic Party’s “destroy Trump” policies, and locals are amassing enormous support for them in today's race. In the 5th Congressional District of Pennsylvania, there's a chance to support an American Veteran, Joseph Billie, who has promised to dedicate his life to restoring Pennsylvania to its potential greatness. Joseph “Joe” Billie (R-PA) is a working-class man from Delaware County, who not only served his country in the United States Navy but has spent 30+ years as a Volunteer Firefighter for Folcroft Fire Company No. 1 where he risked his life to ensure that other people could live to see tomorrow. Joe Billie is <i>”one of the guys”</i>, in the sense that he's a blue-collar taxpayer who's lived under several Presidential Administrations and their broken promises, watching Pennsylvania lose its premise as a manufacturing and steel giant, and seeing millions of Pennsylvanians lose their jobs under the failed policies of Barack Obama. 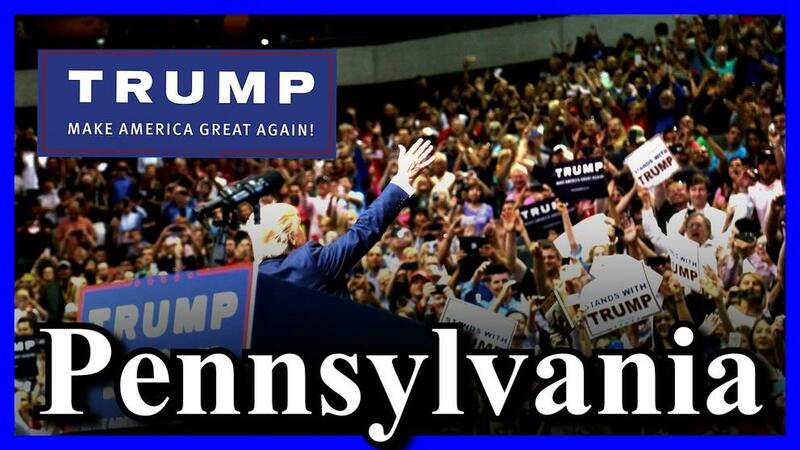 President Trump won Pennsylvania in 2016 based upon those previous failures of Obama, and it's the victories of the Trump Administration for the people of PA and the economy in which Billie promises to continue throughout his tenure if elected. It's that homegrown history that makes him so compassionate about President Trump's promise to <i>”Make America Great Again,”</i> and he's stood tall in support of our President on the issues which matter, and Billie’s campaign has promised to defend those values. “As a devout Christian, Joe believes that life begins at conception and abortion is murder. Joe will defund Planned Parenthood and will support funding to assist in adoptions,” according to his campaign website. When it comes to the Constitution, Joe has proudly advocated for the protections in which our founding fathers wrote to promise the American people. This is a man who stands up for the values in which we as Americans hold dear to our hearts. To support President Trump's agenda for the 5th District of Pennsylvania, there's no stronger candidate than Joseph Billie. The Goldwater spoke to several local voters turning out for today's primary in support of President Trump, including<a href="https://twitter.com/poconomtn?s=09"> Lynne in Pennsylvania’s 8th District</a>, who offered her support for John Chrin (R-PA) based upon his backing of the President of the United States of America. John Chrin has indeed promoted President Trump's agenda in the 8th district of Pennsylvania, and he's long-since fought to restore Pennsylvania values to his community. According to his campaign, John Chrin is a tenth-generation Pennsylvanian, who is both an NRA member, an advocate for protecting our borders, and a lifelong Conservative Republican. For Pennsylvania’s 8th District, there's no candidate more suited to promote the President's agenda than John Chrin. There are other important races occurring today as well in the state of Pennsylvania, including the Governor, Lieutenant Governor, and Senate seats. Pennsylvania’s 1st District, which Hillary Clinton actually won in 2016, has GOP Representative Brian Fitzpatrick sitting at the helm, and the Democrats are trying to flip this district. In an effort to unseat Representative Fitzpatrick (R-PA), newcomer Dean Malik, an advocate for President Trump and his agenda, is trying to “drain the swamp by unseating the incumbent. This race, in particular, is heated on the basis of efforts by the Democrats to take the district. As an Incumbent, Brian Fitzpatrick has lost much of his support amongst the “MAGA” (Make America Great Again) crowd as he's stood in the way of President Trump and lost his appeal amongst voters. Many believe that Fitzpatrick will cause Democrats to win the 1st District in November, bringing new support to the fresh face of Dean Malik. Not only does Fitzpatrick support “banning assault weapons,” a clear violation of the Second Amendment, but he's voted to cut funds President Trump required to secure our border. Dean Malik promises to ensure that the Second Amendment shall not be infringed and guarantees the security of our border with Mexico. The most important part of supporting President Trump and ensuring that his agenda will be full filled is that you, today, raise awareness to both friends and family and get out to vote for these candidates! If the Democrats are somehow able to show enormous support today in Pennsylvania, it could threaten control of Congress entirely. Vote to MAGA! VOTE PENNSYLVANIA VOTE!